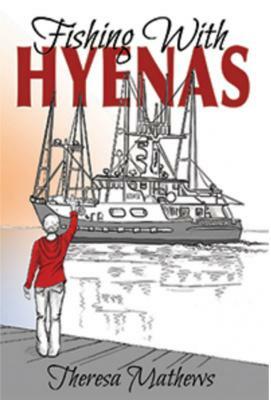 FISHING WITH HYENAS is a love story between girlie girl Theresa and commercial fisherman Captain Bart, who convinces her to crew on a ninety-to-foot tuna boat plying the North Pacific Ocean. Trading cashmere and high heels for rain gear and rubber boots, she becomes his deckhand, confined for three months at a time, thousands of miles from civilization. Bart's tight group of fishermen--the Hyenas--become her extended family, but no one explains what tumultuous weather and hauling thousands of pounds of tuna would do to her hands. Or to her heart. Or to her mind. After nine months on the water, Theresa returns to life on land. But when Bart finds another tuna boat, he heads back out to Mother Ocean. "See you soon" are the last words he says to her. Three days later, Bart dies of a massive heart attack. Grief, financial devastation, and a lawsuit follow, but it is the family of Hyenas who help her pull through. FISHING WITH HYENAS is the true story of how it all started and the tale of what happened next. This adventurous love story is a blend of the unpredictable perils of working on a boat thousands of miles offshore, and the lengths at which one will go for love. Theresa Matthews lives in the Pacific Northwest and works from her home office as a Corporate Recruiter. She started writing 'Fishing with Hyenas' in 1999 when she joined her love on his commercial tuna boat, where she embarked on the adventure of a lifetime. After seventeen years in the making, she now shares her story with the world.